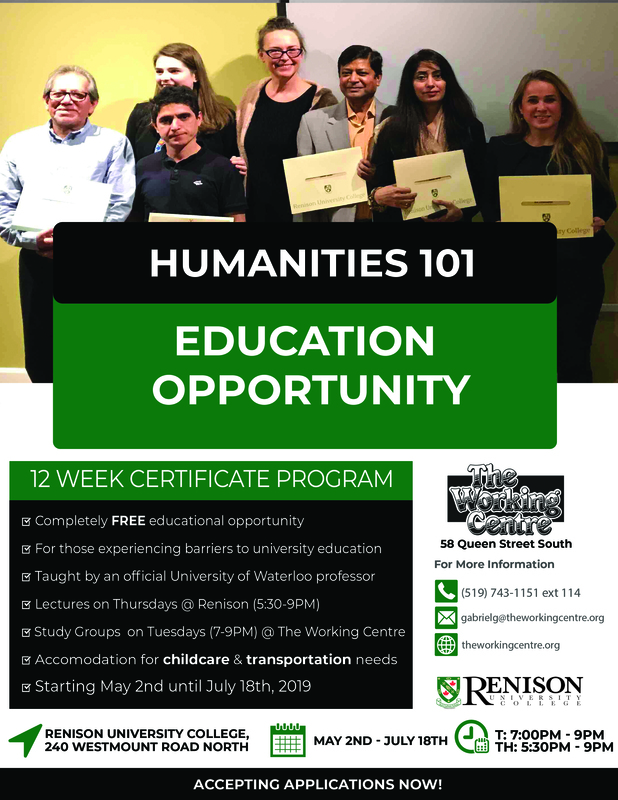 Renison University College will be offering a free 12-week introduction to humanities course on Thursday evenings starting May 2nd, 2019. Currently accepting applications! For more information about the program, eligibility and application process, download the Fact Sheet. To apply, please complete the Information Form and the Application Form. Humanities 101 is a course for people who have encountered financial and other barriers to university education and who wish to expand their intellectual horizons in an accessible, challenging, and respectful environment. Applications for this non-credit course are accepted not on the basis of past academic history but on an applicant’s desire and ability to participate.